Many Thanks to our 7,500 Volunteers! 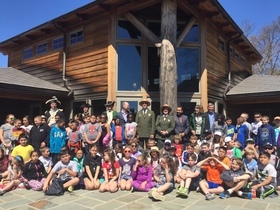 On Saturday, May 7th, a record number of you turned out to participate in volunteer projects at New York State parks and historic sites across the state as part of the fifth annual I Love My Park Day, a partnership between New York State Parks and Parks & Trails New York. On behalf of Governor Cuomo, I extend a huge, heartfelt thank you for your amazing efforts. Read more. Governor Cuomo kicked off the summer season at Jones Beach, where he unveiled more than $36 million in park improvements, including new Taste NY vendors; welcomed the annual Memorial Day weekend Jones Beach Air Show; and announced the return of the Fourth of July Fireworks Spectacular. 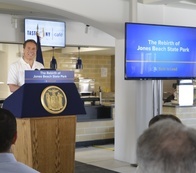 The events and improvements are part of the Governor's $65 million commitment to restore Jones Beach State Park’s historic grandeur, attract new visitors and create new recreational facilities. Read more. 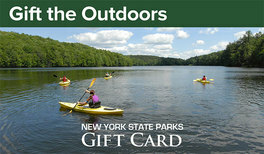 Memorial Day: Kick off the summer at New York State Parks! This weekend is the unofficial start of summer and perfect time to explore state parks. 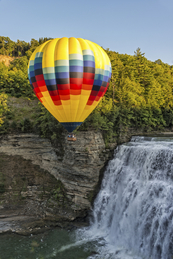 Letchworth’s 14th Annual Red, White & Blue Balloon Rally May 27-30th, kicks off as 30 vibrant hot air balloons launch fill the sky with color. Another sky high event is the 2016 Bethpage Air Show! Celebrate those who have served our country at Jones Beach May 28 & 29th. Prepare to experience a unique display as military and civilian jets scissor, spin, and dive through the sky. Want to escape from the hustle and bustle of the holiday weekend? On May 28th, Schuyler Mansion is hosting a Farm Day with music, live animal exhibits, gardening demos, pony rides and much more. And don’t forget to honor the sacrifices of men and women who we remember on Memorial Day. Sackets Harbor Battlefield, Grafton Lakes, Letchworth State Park, and Stony Point Battlefield are just a few of our sites observing the special day with a variety of events. Check out the full lineup of events and activities on our calendar. The official opening of the Watkins Glen Gorge Trail was celebrated on May 25th with the unfurling of a U.S. flag. 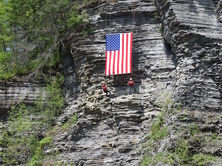 Members of the Finger Lakes Region Scaling Team rappelled down a 180-foot gorge wall at the main entrance of the park to hang the flag kicking off the 2016 season. Every spring, these teams of trained “scalers” are responsible for preparing over five miles of trails in the six gorge parks in the Finger Lakes Region. The work requires teams to rappel, repeatedly, down the walls of the gorges to remove any loose rock, overhanging trees or debris on key sections of the trail. From pristine lakes to Olympic-size swimming pools, state parks abound with opportunities to swim in the summer months. Swimming is a fun and active way to experience our parks. Starting in July, dozens of state parks across New York will offer free swimming lessons through the Learn-to-Swim program. Visit our website for schedule and enrollment information. Prospect Park is welcoming eight new employees – and they’re goats. 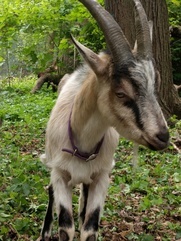 The goats were hired by the Prospect Park Alliance to spend the summer clearing invasive plants by grazing and helping repair the area that was damaged by recent storms. The steep, wooded area would be challenging for park staff, but poses no problems for the Nubian, Angora, and Pygmy breeds who are expert climbers. The goats hail from Green Goats in Rhinebeck which specializes in using goats for landscape restoration. State Parks is helping the Alliance restore this area of the Park through a $725,000 grant from the National Park Service to not only fund woodland restoration work, but also historic preservation work in this landscape. Read more. Show your pass every time you enter a park and you, your family and friends all enter for free! 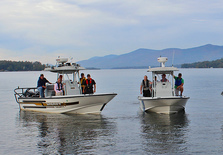 The governor recently announced that nine new patrol boats have been assigned to state and local police agencies to assist with safe boating efforts across the state. These new vessels will help keep New York's waterways safe, while improving security for all boat operators and passengers this season. Recreational boaters are reminded to do their part by taking a few simple– including wearing a life jacket and taking a boating safety class – to ensure a trip stays fun from beginning to end. Read more. How long have you been with the agency? Since December 2015. What does someone in your position do? 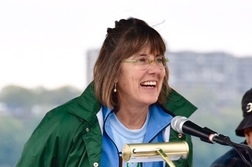 As Regional Director, I oversee park operations for the Thousand Islands Region of NY State Parks. I work with park managers to ensure that they have the support and resources they need to serve our visitors to the best of their ability, and to protect our treasured natural resources. What’s the coolest thing you’ve ever done? Moving to the Thousand Islands from Maryland! Is there a destination in the region you’d recommend to someone? Selecting one place in TI is hard, but forced to pick, I’d say If you come to the Thousand Islands, don’t miss the Rock Island Lighthouse! What inspired you to work in the park system? I’ve been working in state parks since I was in college. I love being part of protecting important natural resources, and also creating opportunities for families to come and make lifelong memories. I can’t imagine doing anything else. Camping & Golf Gift Cards Available Online!